The students have applied for the Andhra Pradesh Electronic Payment & Application System of Scholarships. Now they are waiting to check the application status. To get the status of their application, they need the Application Number. But some of the students have lost their Registration Number. So, they are searching here and there for the AP ePASS Application Number. For those candidates, we have given here the simple steps to know your ePASS AP application number. To check the Status of your AP Epass application, you have details like the SSC Hall Ticket and Date of Birth, but you need the Registration Number. 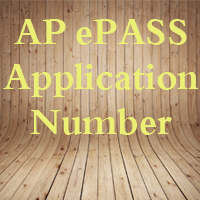 So, we have given here the details to know your AP ePASS Application number quickly. So, the candidates need not waste your valuable time anymore searching How to get Andhra Pradesh E-Pass Application Number. 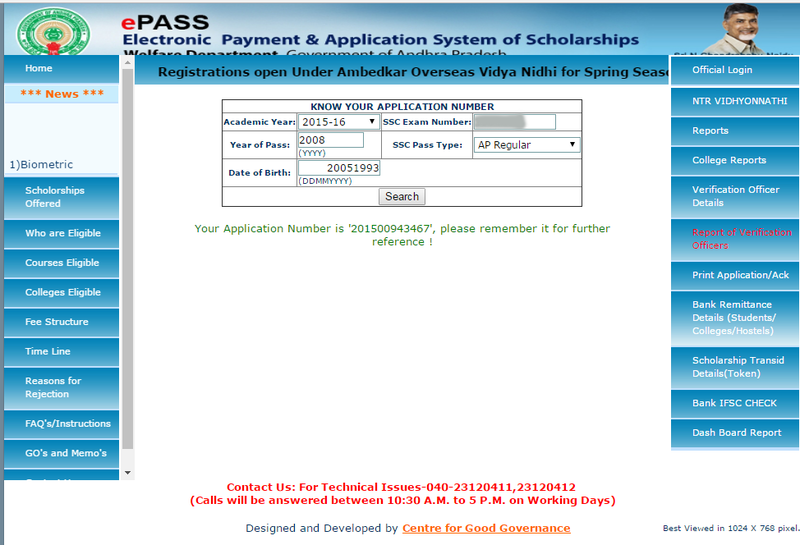 The students can get the Andhra Pradesh Epass Application Number from this page. Those candidates need not worry because you are at the right place. You can know your application number by following the steps given on this page. There is an option to get your AP EPass Registration Number. So we suggest the candidates go through the following sections of this page to know your AP Epass application number. The candidates applied for AP Epass either fresh or AP ePass Renewal can get your application number on this page. The students who have lost/forget their ePass Application Number AP may have queries like where I can find my application number? How can I get my registration number? How to search for the Andhra Pradesh ePASS Application Number? So, to make the search of the students easier here we have given below the details regarding AP ePASS Know Your Application Number. How to Know Your Andhra Pradesh Epass Application Number? Then the homepage of the official site will appear on the screen as shown below. 3. On this page, you will find a scroll bar highlighted in the above image. 4. Drag the scrollbar to the end of the page. 5. Then you will find an option Know your application number which is highlighted in the below image. 6. Click on that and it will take you to the new page as shown below. 7. Then enter the details like the academic year of your study, 10th class hall ticket number, 10th passing Year, 10th pass type and the date of birth. 8. Then click on search button. 9. Now you can know your ePass Andhra Pradesh Application Number which will be displayed on the screen. 10. Finally, note the AP Epass Application Number for future use. I am studying in Punjab Lpu sir btech 1st year.but my local is ap.i am eligible for btech scholarship sir .